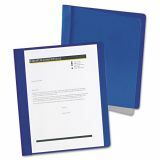 Oxford Extra-Wide Clear Front Report Covers, Letter Size, Dark Blue, 25/Box - Report covers are extra wide to accommodate index tabs. Clear front cover provides full view of title page. Back cover is made of premium, coated stock for extra durability and to resist moisture. 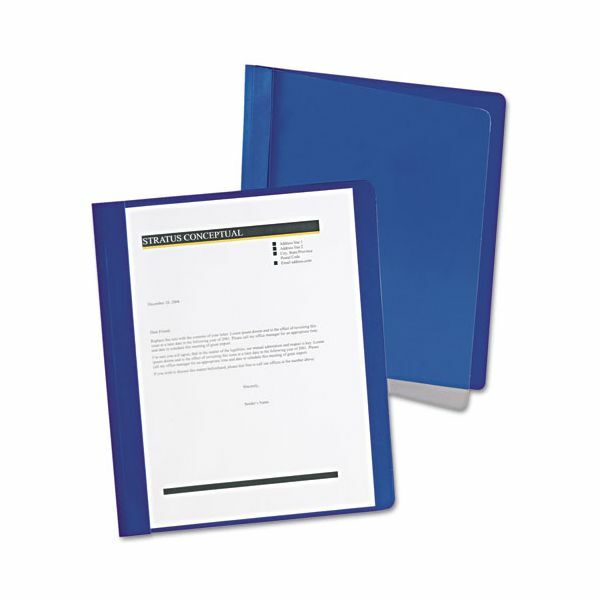 Metal fasteners hold up to 100 sheets of three-hole punched, letter-size paper.